Lawyers in the case of Aseri Vakaloloma and Benjamin Padarath today presented their mitigation before the Suva Magistrates Court today. The two were last week found guilty of one count each of forgery. During their sentencing submission Padarath also had a character witness in Susana Tuisawau who is a close family friend. Padarath also had a letter confirming his employment status and character references from his two wives. He also had a letter from the Vice President of his church and a letter from his mother. Tuisawau told the court that she had seen Benjamin grow up and described him as a well-mannered, caring and helpful person. Aseri Vakaloloma also presented a character witness namely Sakiusa Rabuka who worked with the accused. He also had an affidavit and character reference from his wife. 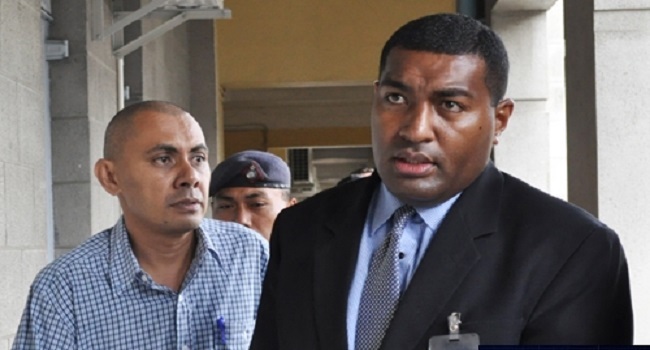 The duo are charged by the Fiji Independent Commission against Corruption. The court heard they forged the Articles of Association of BECP Engineering Construction Fiji Ltd between October 14 and October 31 in 2009. They did this by creating a page and changing the particulars of subscribers from Adishwar Padarath of 57 Duncan Rd, Domain, Suva, to Voreqe Bainimarama of 228 Ratu Sukuna Rd, Domain, Suva. Vakaloloma signed as a witness to the signature while Padarath signed as one of the subscribers. The matter has been adjourned to August 22nd for sentencing.